Hands-on projects and active teamwork to generate ideas and find solutions are the hallmarks of Bertschi instruction both in and out of the classroom. Learn more about our continually evolving teaching practices. Our world is a blend of arts, science, math, creativity, movement and continual learning at all ages. Bertschi teachers work closely with resource specialists to create projects that help our kids learn and explore in an inter-disciplinary, integrated “real world” environment. For example: In an integrated curriculum of sustainability and social studies, art, music, and math, our second graders explore public markets around the world. The project includes field trips and lessons demonstrating the cycle of local food production and distribution. In a culminating event, students hold the annual “Bertschi Public Market”—selling produce and crafts while buskers provide entertainment. All proceeds benefit the Pike Place Market Foundation. 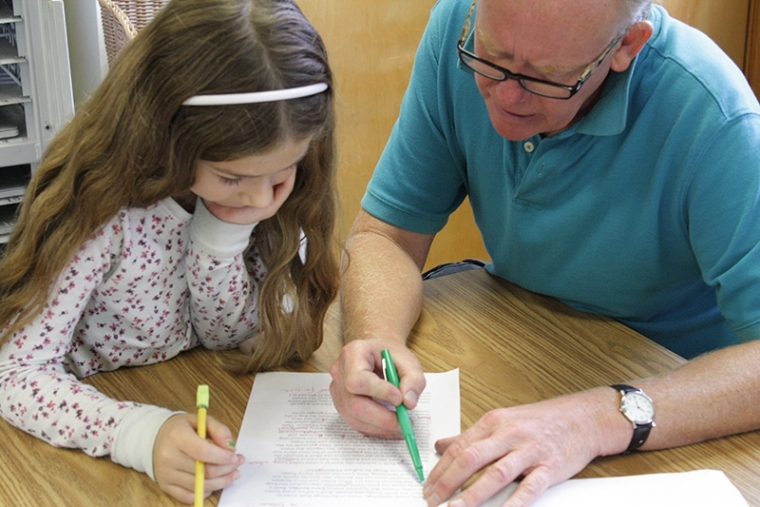 To ensure consistency of projects, skill development, behavioral expectations and academic outcomes across all grades, Bertschi teachers work together. They share best practices and learning also on a departmental level to create a continuum of skills development from year to year in math, reading and writing. Each school year Bertschi teachers commit to reviewing the scope and sequence of different curriculums and teaching practices in the school. Most recently, classroom and learning services faculty worked collaboratively to revise the entire writing curriculum in order to align with Common Core Standards and the expectations that we hold for our young writers as they graduate from Bertschi School. We want to work with your child at the skill level that is “just right” for them. That level may change from unit to unit, or from book to book—depending on informal and formal assessments by our classroom teachers and learning specialists. 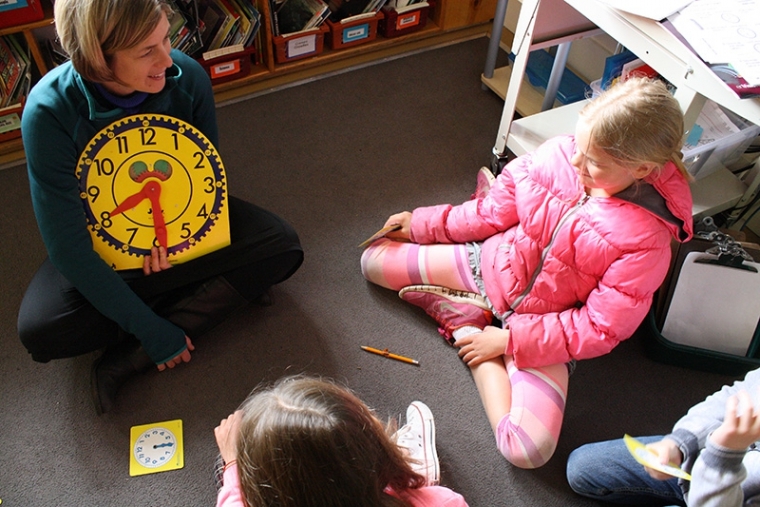 With two classroom teachers and a teaching assistant in each grade, our low student:teacher ratio allows us to teach mathematics in small groups, meeting each child at the right place and moving at the right pace for their development as a mathematician. These groups are fluid, so children remain appropriately challenged and supported across the varying units each school year brings. We believe schools are places of learning and growth for adults as well as students. Continual adult learning, stretching, and improving ensures an inspired environment and creates a model of life-long learning. Bertschi School strives to be a community with a growth mindset. During the school year, we engage in monthly Community, Department, and Curriculum meetings, which allow our faculty to explore together and push one another to be their best professional selves. Summers are also filled with professional growth, as faculty pioneer possible new projects, attend curricular workshops, and participate in a summer reading book group. 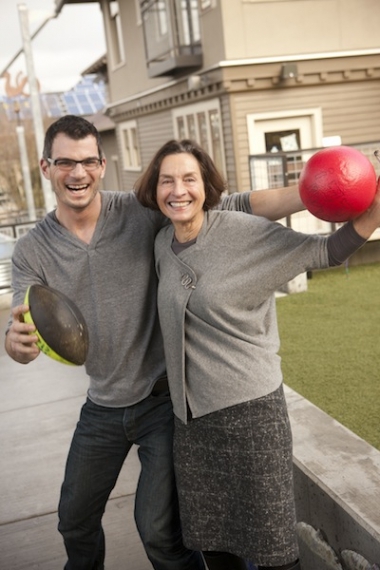 COLLEGIALITY: Brigitte Bertschi has created a school where teachers and administrators are empowered to discover and try new ideas, and she leads by example every day. 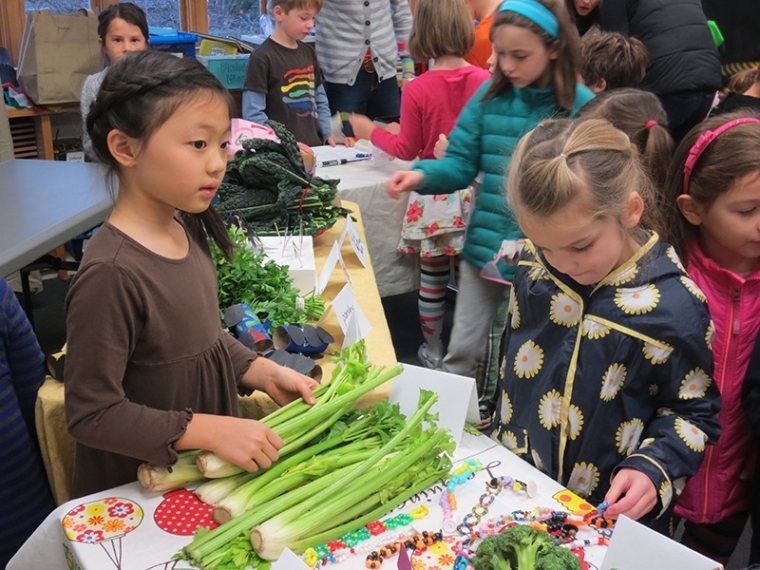 INTEGRATION: The annual second grade "Bertschi Public Market" allows students to use practical mathematics skills as they combine their sustainability & social studies with creative pursuits in art & music. COLLABORATION: Teachers across all grade levels recently worked together to revise the scope and sequence of Bertschi's writing curriculum. DIFFERENTIATION: Classroom assistants and Learning Services teachers work with smaller groups to support mathematics at many levels.